On the heels of introducing its Mecha-Membrane Ornata keyboard, Razer is also introducing custom-made mechanical switches to the DeathAdder Elite. The new flagship gaming mouse comes with new mechanical switches designed to shorten the lag time between actuations while increasing durability to 50-million clicks. At the same time, the DeathAdder Elite has been fitted with a new 5G optical sensor that tracks up to 16,000 dots-per-inch at a rate of 450 inches-per-second. Razer claims these features make its latest peripheral the most sensitive and accurate gaming mouse yet with highest measured resolution accuracy (RA) of 99.4%. As ever the DeathAdder Elite will come with Chroma lighting, allowing it to emit a rainbow of colors while synchronizing the lighting across your other Razer devices. 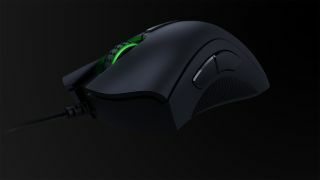 The DeathAdder Elite comes priced at $69 (about £53, AU$90) and begins shipping this October.